It is fertile rather than fissile, and can be used in conjunction with fissile material as nuclear fuel. 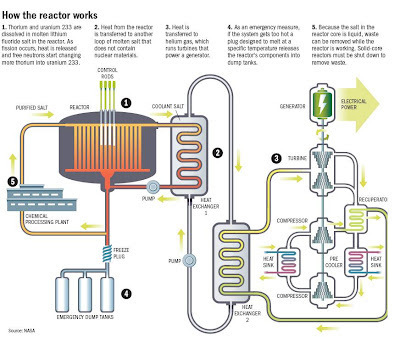 Thorium fuels can breed fissile uranium-233. Thorium can be used as a nuclear fuel through breeding to fissile uranium-233. Although not fissile itself, Th-232 will absorb slow neutrons to produce uranium-233 (U-233)a, which is fissile (and long-lived). 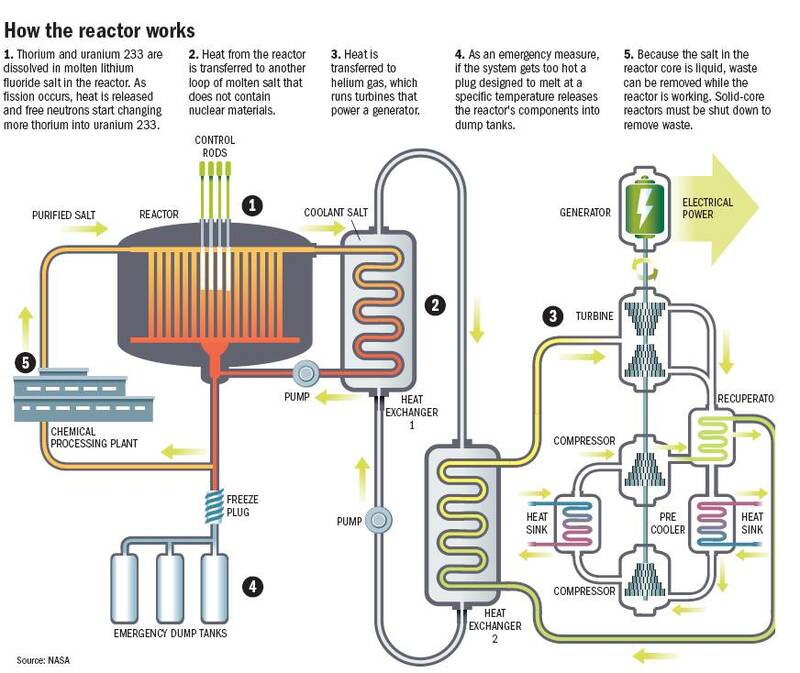 The irradiated fuel can then be unloaded from the reactor, the U-233 separated from the thorium, and fed back into another reactor as part of a closed fuel cycle. Alternatively, U-233 can be bred from thorium in a blanket, the U-233 separated, and then fed into the core. However, there are also features of the neutron economy which counter this advantage. In particular the intermediate product protactinium-233 (Pa-233) is a neutron absorber which diminishes U-233 yield. The use of thorium as a new primary energy source has been a tantalizing prospect for many years. Extracting its latent energy value in a cost-effective manner remains a challenge, and will require considerable R&D investment. Thorium exists in nature in a single isotopic form - Th-232 - which decays very slowly (its half-life is about three times the age of the Earth). When pure, thorium is a silvery white metal that retains its lustre for several months. However, when it is contaminated with the oxide, thorium slowly tarnishes in air, becoming grey and eventually black. Thorium oxide (ThO2), also called thoria, has one of the highest melting points of all oxides (3300°C). The most common source of thorium is the rare earth phosphate mineral, monazite, which contains up to about 12% thorium phosphate, but 6-7% on average. Monazite is found in igneous and other rocks but the richest concentrations are in placer deposits, concentrated by wave and current action with other heavy minerals. World monazite resources are estimated to be about 12 million tonnes, two-thirds of which are in heavy mineral sands deposits on the south and east coasts of India. Thorium recovery from monazite usually involves leaching with sodium hydroxide at 140°C followed by a complex process to precipitate pure ThO2.